as part of the requirements for a PhD in Digital Humanities at UCC. You will wear an Oculus Rift Virtual Reality headset and use touch controllers to navigate and interact with objects in a game that teaches some fundamentals of graph theory. The game is immersive and you will see virtual hands and be able to manipulate objects with them. The game lasts about 15 minutes. You will spend about another 15 minutes completing a questionnaire. Absolutely none. After a brief orientation with the VR technology, you will begin playing the game. The game has a tutorial that guides you through how to use the controls. You do not need to know anything about graph theory or have any technical knowledge. Whether you are a CIT employee, a student, or anyone else of least the age of 18, you can take part. What’s all this graph theory stuff anyway? Put simply, it’s just about connecting related things together. 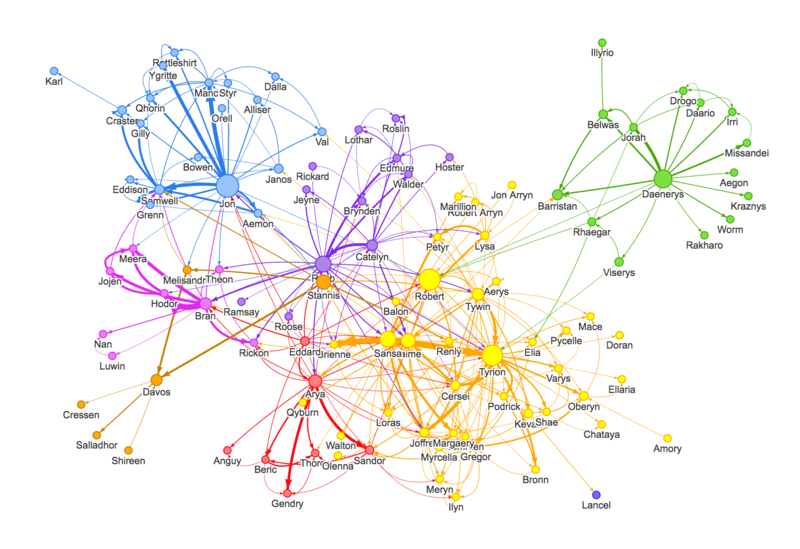 You may have seen social network graphs, for example, that show how people are connected to each other. It is used in many other ways – visualization of business data, finding the shortest route on a map, natural language processing, studying molecules, and more. I have developed a set of game mechanics that could be applied to all of the above. The game only scratches the surface of graph theory, but hopefully gives a feeling for some of the possibilities. Where does Learning Analytics fit in with Game-based Learning? Learning analytics can be used to improve student learning outcomes, engagement, improve retention and efficiently target interventions. While learning management systems like Blackboard have a wealth of data that can be analysed to identify students who are not engaging, it does not tell us very much about the ways in which students learn. Game-based learning offers us a chance to capture data as a student engages with game-based learning activities. Some of this data can be mapped to taxonomies of learning, such as the revised Bloom’s or Biggs’s SOLO, while other data allows us to reconstruct in real-time what a student did during an exercise. This allows for the possibility to visualize learning in several different ways. The data also allows for the possibility of personalized and adaptive learning – in other words, educational games that respond uniquely to each player. How is data used in this study? Many of your interactions in the game will be stored in a database using an API (application programming interface) I have developed. This will hopefully allow me to identify where players have difficulties in the game, verify that certain learning has taken place (mapped to Biggs’s SOLO taxonomy), to be able to replay in real-time how you carried out the exercises in the game, and to visualize how each player progressed to identify players who struggled to complete the exercises. All data will be kept confidential for the duration of the study and is available only to me and my supervisor. No clues to your identity will appear in the thesis. You will be asked to sign a consent form to indicate you understand what will happen with your data. Are there any disadvantages to me taking part? I do not envisage any negative consequences to you taking part in the study. Some users of VR headsets have reported mild symptoms of VR / motion sickness. However, this is usually related to games that allow free movement, whereas I have designed the game to minimize or eliminate these symptoms by implementing “teleportation”. Approval must be given by the Social Research Ethics Committee of UCC before studies like this can take place. If you need any further information, you can contact me: Larkin Cunningham, 021 433 5744, larkin.cunningham@cit.ie. My supervisor, Dr. Orla Murphy, can be contacted by email at o.murphy@ucc.ie. If you would like to take part in the study, fill in your name and email below and I will contact you to arrange a time that suits. If you agree to take part in the study you will need to sign a consent form, which I will give to you prior to your participation.